Today’s rapidly evolving threat landscape demands ever smarter and ever more responsive managed security services. 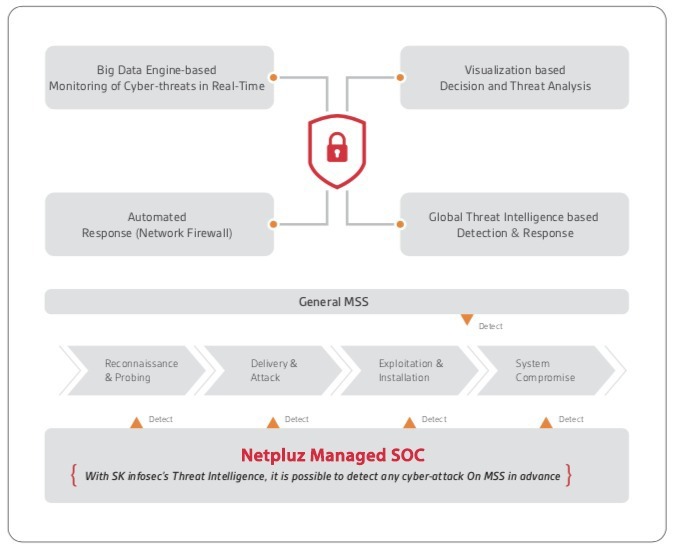 Netpluz Managed SOC, powered by SK infosec offer the industry-leading tools, technology and expertise required to secure your information assets 24 x 7, often at a fraction of the cost of in-house security resources. Comparing to existing MSS, threat intelligence for real time threat analysis is used for event collection and analysis while an A.I. is used for automated of threat analysis, enabling us provide pre-warning email, threat report, firewall blocking and platform-based threat response services. 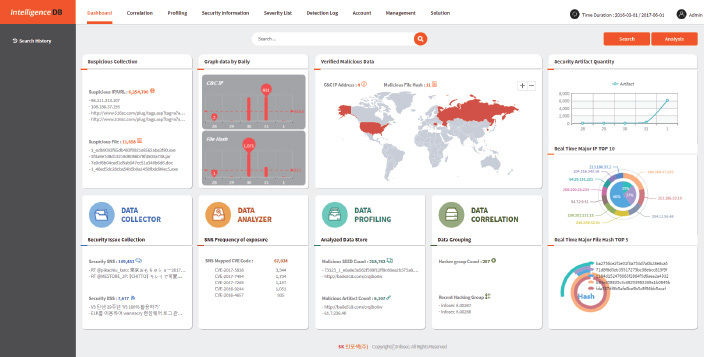 Continuous and automated security indicators can be generated using the data gathered from security devices and through automation and orchestration among threat intelligence indicators. This makes it much easier for security experts to analyze any vulnerabilities and attacks. Blends data to your goals to provide meaningful Insights. Internet connectivity has become the most fundamental and critical layer of business communications today. With the advent of technologies and services that are cloud-centric, the heavy dependency on Internet has just kept growing by the day. It is paramount that businesses maintain reliable and fast Internet connectivity to carry out their business functions effectively. 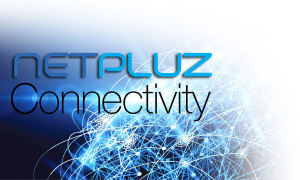 In Netpluz, we are committed to the delivery of high-standard and high-quality Internet connectivity services to support the communications (data, voice and video services) needs of our clients, at an affordable and cost-effective price. Connected to the Internet is a double-edged sword. On one hand, organizations can leverage on Internet to advance their businesses and improve productivity. However, on the other hand, they are also exposed to the dangers and havoc that connecting to Internet might potentially wreak against them. Protecting an organization’s network with a firewall has become a basic necessity. However, with continually evolving hacker tactics and techniques, how can organizations, especially those with limited resources and expertise, still cope and protect their digital assets with confidence? With the rise of mobile workforce, critical business data is increasingly being stored on devices outside the organization’s traditional domain. The enormous risk associated with leaving the data unprotected should not be neglected. Any data loss or breach could lead to heavy financial and reputation losses to the organization. 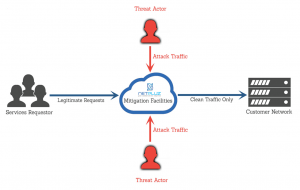 Part of DDos protection, Netpluz Managed Web Application Firewall (Managed WAF) provide businesses with a cloud based, simple and cost-effective solution to monitor all the raw data coming into your server, identifying all potential threats, and blocks any data identified as being malicious and unsafe. If your business accepts credit card payments through your web assets on a payment gateway, or even providing e-services such as customer log in portals, you will need a Web Application Firewall to safeguard and build resilience against cyber attacks. Contact us to take this conversation further! LIKE NETPLUZ ASIA ON FACEBOOK!